Calvary Burmese Church is a Congregation mainly formed with believers from Burma by the assistant of Calvary Baptist Church of Washington DC. In 1995 and 1996, Rev. Lynn Bergfalk who was the Senior Pastor of the Calvary Baptist Church at that time, arranged to form a Burmese Fellowship group with believers from Burma who attended the Calvary Baptist Church. The first Calvary Burmese Fellowship’s worship service in Burmese language was started on February 2, 1997 in the Burrell Hall of the Calvary Baptist Church with 17 people from Burma. With the sponsorship of Calvary Baptist Church, Rev. Maran Yaw, came to USA from Burma and became the first pastor of the Fellowship. Though the fellowship had worship service once a month at that time, they worshiped twice a month later and every Sunday at last due to more believers came to participate. Youth fellowship, Women fellowship, Evangelical & Mission department, Orphanage Support Committee, Fasting and Prayer committee, Music committee, Deacon group, and Men Fellowship were also formed later. Today, the fellowship was transformed into the Calvary Burmese Church. Believers from all kind of denominations, Baptist, Methodist, Assembly of God, full Gospel, Seventh Day Adventist came and worship the Lord together and served the Lord in the mission works both in USA and Burma. 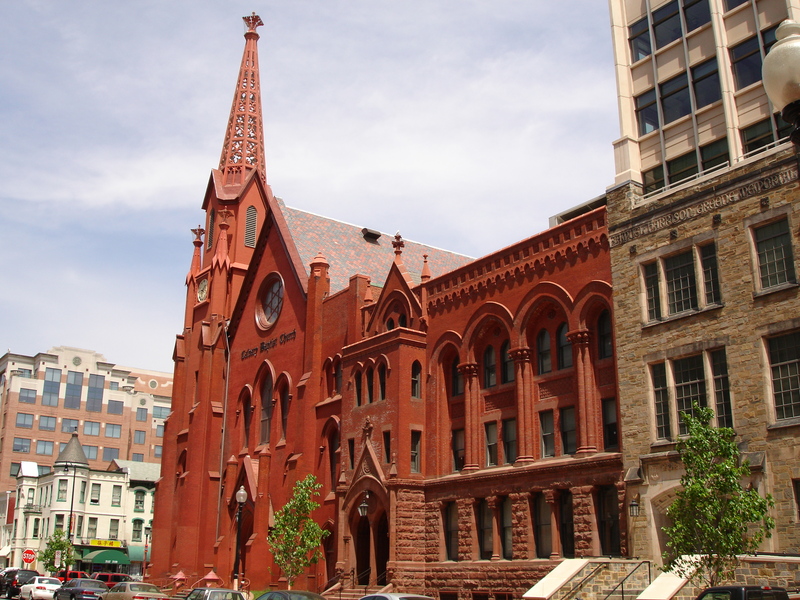 The Church is located in downtown Washington D.C. , and it is the only Burmese Church in the capital of USA. Since members came from various ethnicity of Burma, Burmese is used as primary language.